Our today's post will cover the topic of accidentally deleted data from your Android device. Most of the reader was commenting on our social media account about how one can recover all the data which deletes accidentally while doing something on your mobile phone, that data can be video files, audio files, contacts, messages and much more. 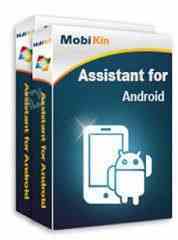 So, first download this Mobikin assistant for Android on your Android device, and install it, this application will recover all the data which you have been deleted either accidentally or knowingly. But, the use of this application will be only on Computer, and you will connect your phone to the computer where you have to install the application. When the phone will be connected to the computer, it will ask you to recover the entire phone data; you should be concise related to your data from where you have saved the data or name the folder. So, you can have all the backup of your data if you are trying to have data backup before the losing. After, back up the device, and when you will lose the data, you can install that backup. So, you can save all of the data which you have been saved. Restore contacts; restore phone and music files, video files, movies, personal data, images, and other important data for your office and job work. The restoring of the deleted data with this Mobikin assistant for Android has become a lot easier than the other applications like this. Because, here, you have the much and more concise and better option to search video, audio, contacts, docs and other files. There will be an option to restore the media files, docs, PDF files, and other files. You can search your related data and files by searching in here, to recover the data. You can use USB connection and WI-FI connection to recover your lost data using Mobikin assistant for Android phone device. You can download this Mobikin assistant and install and start recovering your lost important data online. If the link below is not working or expired, comment down in the section so we can fix the download error right now.